Learning how to make homemade yogurt is not only fun it can be a learning science experiment. 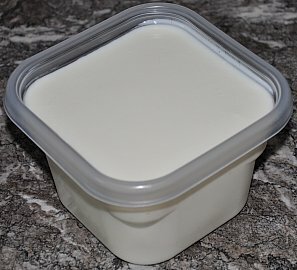 You will need a crockpot, milk and a small carton of ready made plain yogurt when making homemade yogurt. Since the yogurt takes hours to sit I find the best time to start the yogurt is around 1-2 p.m. This way it will be ready to sit overnight around 7-8p.m. When you wake up and stir your yogurt about 7-8 a.m. it will have sat overnight for 12 hours. Step 1: Use a small 2 quart crock pot, turn to low and pour in 4 cups milk. Step 2: Cover with lid and cook on low for 3 hours. Step 3: Turn off heat and let milk sit in the covered crock pot for 3 hours. Step 4: After 3 hours take out 1 Cup of milk and place in a bowl. Step 5: To your 1 Cup of milk from the crock pot add 1/4 Cup of plain yogurt. Whisk together. 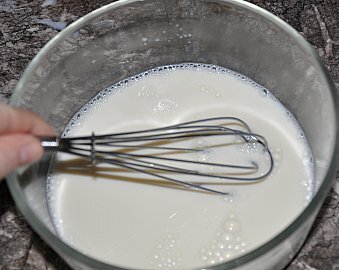 Step 6: Pour yogurt milk mixture back in the crockpot and whisk together. 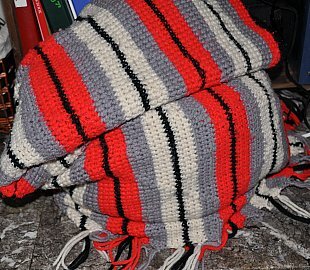 Step 7: Cover the crock pot with a large blanket or towels and let sit overnight. By covering your crockpot you are making an incubator. Step 8: Next day whisk your yogurt and place in a plastic container. Store in the fridge. Use your yogurt within 1 week-10 days and if you'd like to make yogurt again save 1/4 cup of your yogurt for the next batch. You can make a larger batch depending on if you can use the amount of yogurt within a week. The ready made yogurt has bacteria in it that when combined with the milk in a warm place causes the milk to ferment. The tangy flavor yogurt has is caused by this bacteria fermenting. So simply stated yogurt is milk that has fermented. You can not make yogurt without these active bacteria. Take me back to food science experiments from make homemade yogurt.